I am reminded of this one often. I get home from a day of seeing clients or a full day of teaching and I suddenly feel like I have nothing left. It wasn’t until yesterday when a colleague of mine mentioned that they too sometimes feel like they have nothing left to give when they get home. That’s when I finally understood what was going on. There are two things going on. When I realise I realise I’ve given my energy away, I’m not calling it back. First and foremost, it’s about knowing when to say no. Knowing when your body needs a rest can actually negate this a lot of the time. 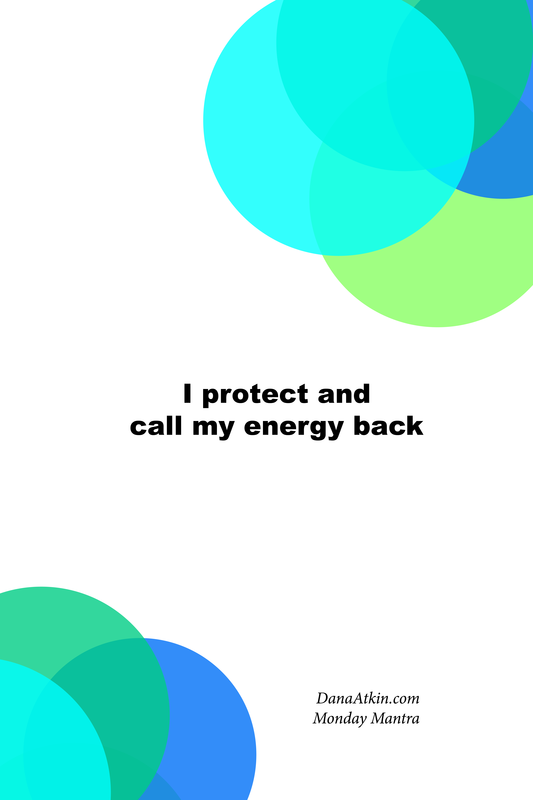 I’ve also been using a little energy protection which is simple and effective. All I do is place my palm over my belly button. If you think about the belly button, it was source of nourishment and energy when you were in the womb. It is believed to be a source of Chi or life force energy so by placing your palm over the belly button, you’re protecting your energy. It’s the area in which your solar plexus is close to which is all about personal power and survival so when you’re placing your palm over your belly button, you’re almost activating your sense of personal power, or activating a shield of protection. I like this one because it’s easy to do without needing to visualise anything and no need to ensure you’ve got some “you time” to do it in. This is of course, just one of many energetic protection processes you can do. I’ll be posting more processes over the coming months, so watch this pace. I wrote an article on this very topic a while back – you can read it here: Calling Your Energy Back. Your energy is yours to do with as you wish however, if you give it all away, then you have nothing left to give to yourself or anyone else. So be wise about how you give your energy and be wise about calling it back when you’ve over invested. Protect your energy and know when to call it back. Put simply, when you find yourself thinking not so nice things, feeling not so nice, choose a better feeling thought. The more you choose a better feeling thought, the more you give your mind, body and spirit and a chance to not only feel better, but to attract situations and reasons to feel even better. One naturally feeds into the other. 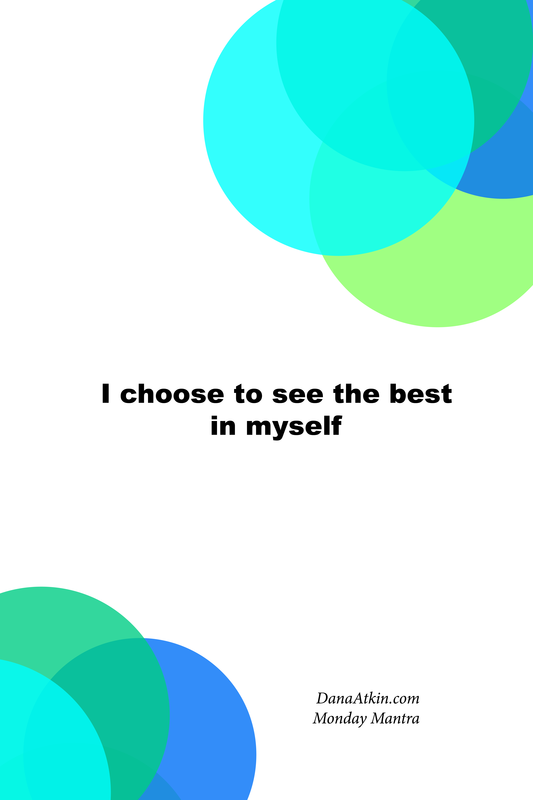 Today, when you find yourself thinking something that doesn’t feel great, choose a better feeling thought. As always, download and save this Monday Mantra Image to your desktop or phone or print it and pin it somewhere you’ll see it. When you see it, say it. And if you know someone who would also benefit from this mantra, please share it. I’ll be honest here – I tend to be someone who says yes to a lot of invitations and requests. I consider everyone else’s opinion of me and everyone else’s feelings before my own. Then I resent them for making me do something I didn’t really want to do. The key here is of course that I chose to do it but that fact gets hidden under everyone else’s priorities because I hide it there. Did you know that a lot of people actually appreciate you saying “no” from the get go rather than cancelling at the last minute? Be clear about what you want. Make a list of all the things you want to achieve, all your short-term gaols, your long term goals and even your day to day stuff you just want to do. 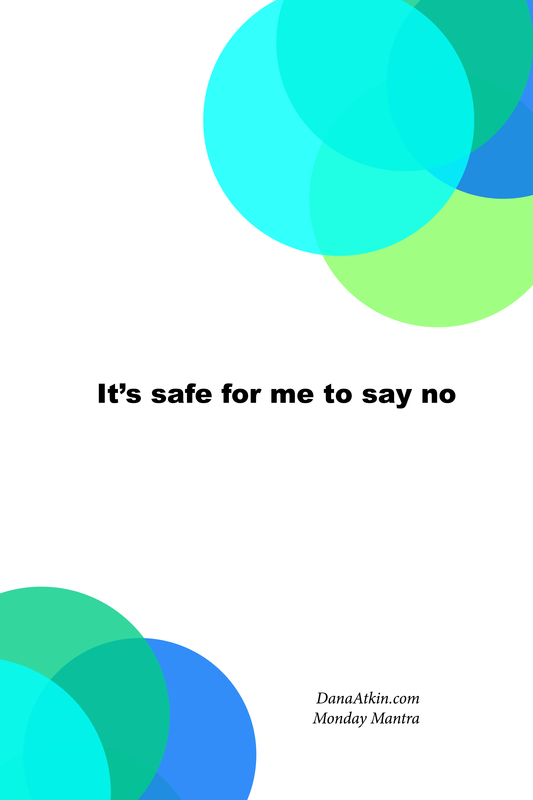 Then, look at each invitation or request and if it doesn’t match up with what you want or if what you want can’t be rescheduled to fit in some spontaneous invitation, then it’s okay to say no. And be honest with your answer too. It’s okay to say “look, to be honest, I really had my heart set on doing ABC today so I’ll have to say thank you for thinking of me, but no thank you”. This habit of saying yes for everyone else’s sake is not an easy one to change but it can be done. I am still working on this one myself. Known as a divine paradox. What looks big is small, what looks small is big. Just because something appears to be a mountain, it is very likely a molehill. What appears to be a small gesture can very well mean the world to someone. Never underestimate the power of small things. Adding what seems to be a small “one 20 minute walk per week” into your routine may well be paving the way for a big shift in your weight. A small change in the way you talk about money can pave the way for a big energetic shift in your finances. A small smile to a stranger has the ability to change their perception on their whole day. The same goes when you’re on the receiving end. A small gift has the potential to change your life for the better, even if you can’t see it in that moment. A perceived small pay rise has the ability over time to change your perceptions on how you’re valued and have a flow on effect to those around you and possibly to a bigger pay rise next year. The other week, I bought myself a bunch of flowers for completing a big transformative study week and everyday for a week afterwards, I felt great walking into my kitchen to see a beautiful bunch of flowers on the kitchen table. It shifted my whole week into beginning each day with a positive thought. What small thing can you do for yourself or for someone else today that has the potential to make a big difference in yours or someone else’s life? So many times, I come across people (myself included) where they want something so much that they’re willing to do whatever it takes to get something. Lets use Money as an example because it’s a common one. Say for instance that you desperately want or need money to fuel your dream. You’re working hard at a job and saving diligently but every time you get to a certain level, you spend it without even worrying about the consequences at that point in time. And then, it’s lather, rinse, repeat every time you get to that same point of savings. Consider this: How do you feel about people with money generally? DO you feel like they’re greedy, do you feel like they’re not nice people? Do you feel like they’re shallow? Now consider this: How do you expect to have a lot of money if you’re constantly thinking that people with money are greedy, not nice or shallow? Try turning that belief around by thinking about all the positive things about people who have lots of money. For example: People with money get to help others with money when they choose to. People with money have great wardrobes, people with money are great ambassadors for charity work. etc. Choose one that’s important to you. As Abraham Hicks says, “A Belief is only a thought you keep thinking” – so choose a better feeling thought and feel your dreams, thoughts and beliefs all come into alignment with your dreams. Remember too that this applies to all dreams, to work, to money, to relationships etc. I came across an Abraham Hicks Youtube video this morning that mentioned that resistance shows up in the form or emotions (your emotional guidance system) and when we don’t change the way we feel or change our thoughts, then eventually the body begins to show us physical symptoms of our thoughts as a physical prompting for us to look at the emotional thought components. It’s like escalating a problem through a help line. Eventually you get to the big boss who is able to sort it out for you but by then, you’re so worked up about the issue that it takes so long for the problem to be fixed. Really, what we want to do is have it looked at sooner so that the person you get through to on the help line is the only person you nee to talk to and then issue is corrected almost immediately, no escalation required. In the video, it also mentions a way of bringing yourself into the present moment through breathing, it’s a way of focussing all your attention onto the present moment to release and resistance to the life you’re trying to create (i.e. ; the Law of Attraction). 1. 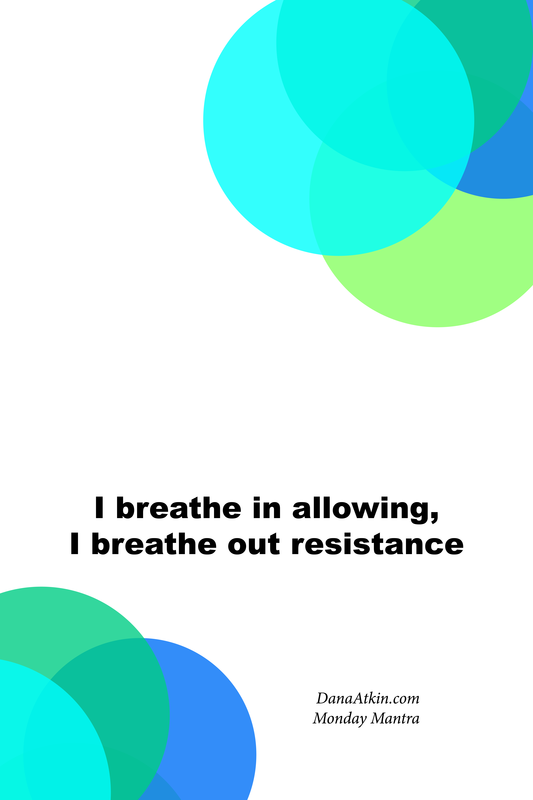 When you go for a walk, concentrate on your breathing and use today’s mantra as you do. 2. When you go for a run, either get yourself into the “zone” or as you run, use today’s mantra. 3. As you sit at your desk, take a few minutes just to notice your breathing. Count your in breath and out breath to a total of 10 and then start again. (this technique is taken from the Take Ten Series of Headspace – http://www.getsomeheadspace.com). Today is a special day. Today, I embark on some faculty training so that I can teach Kinesiology next year. It is both exciting and nerve wracking. I teach my clients tools of the trade all the time. I teach them tools I’ve picked up along the way and I teach them new tools I’ve developed myself. So teaching is nothing new for me. The most amazing part of teaching people these things is perhaps the benefit I get from it too. Not only do I really have to know what i’m talking about (learning) but I need to understand it from a “hey, I use this technique myself” perspective. You see, I tend to forget that I know a lot about health, wellbeing and spirituality and I forget that there are people out there who are just opening up to these things. 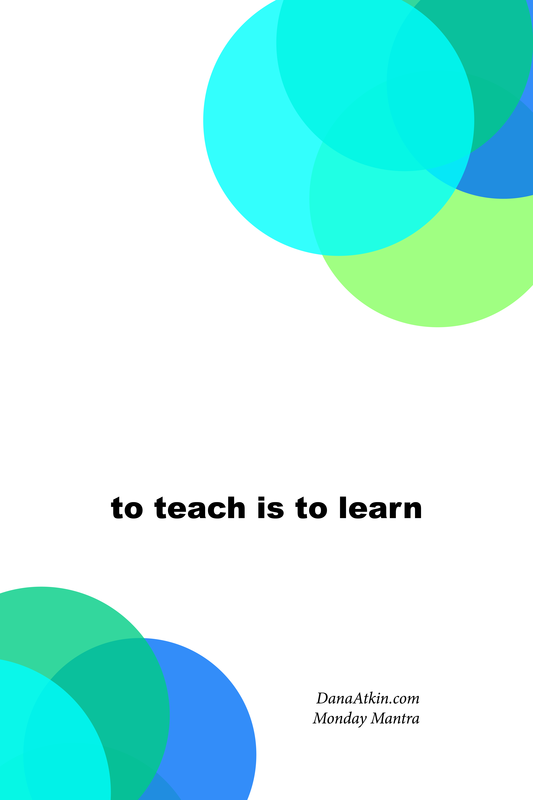 So when I teach, I teach myself that everyone is learning (including myself) and that what I teach on a day to day basis is what I need to learn on any given day. For example, If i find myself referring clients to a particular meditation, It’s often a good sign that I too need to delve back into that meditation. If I hear myself recommending a way of communicating, then that’s usually my tell tale sign that I too need to consider how I am communicating in my life. There is a lot we can learn from teaching others so it’s a win-win. They get the benefit and you get to learn something too. Next time you find yourself giving advice to others, consider how you too might use that same advice. You might be surprised at how spot on and appropriate your own advice really is.